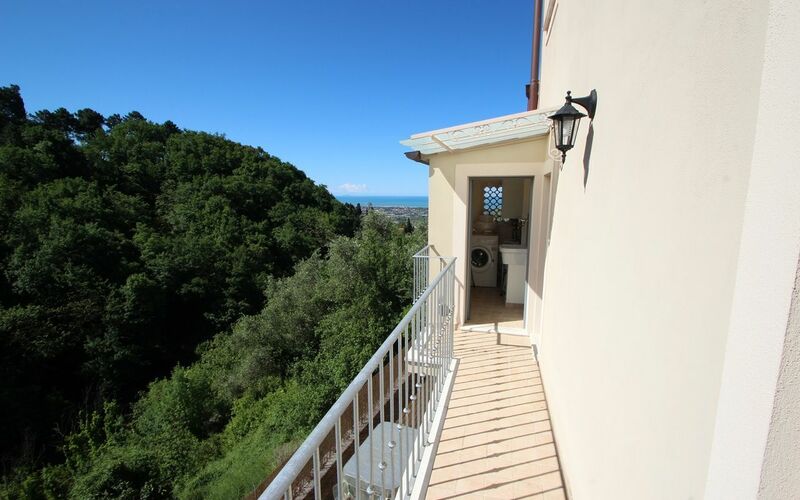 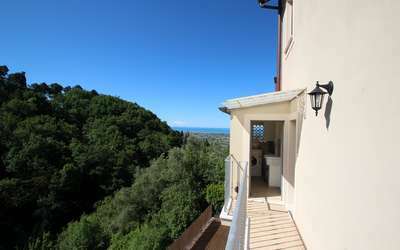 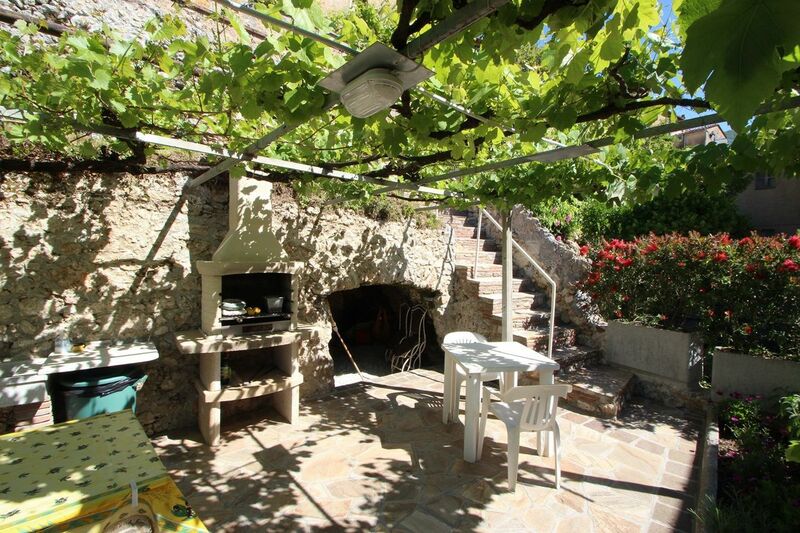 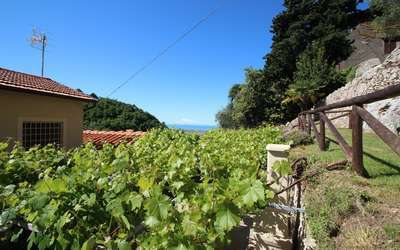 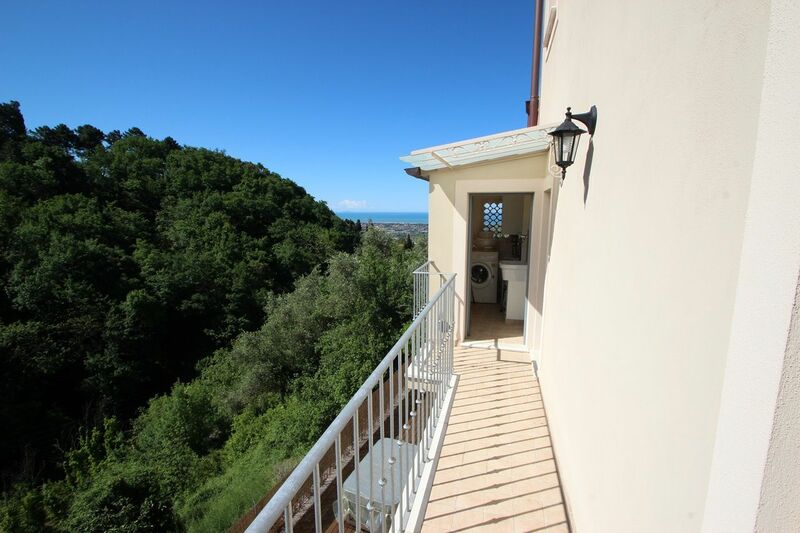 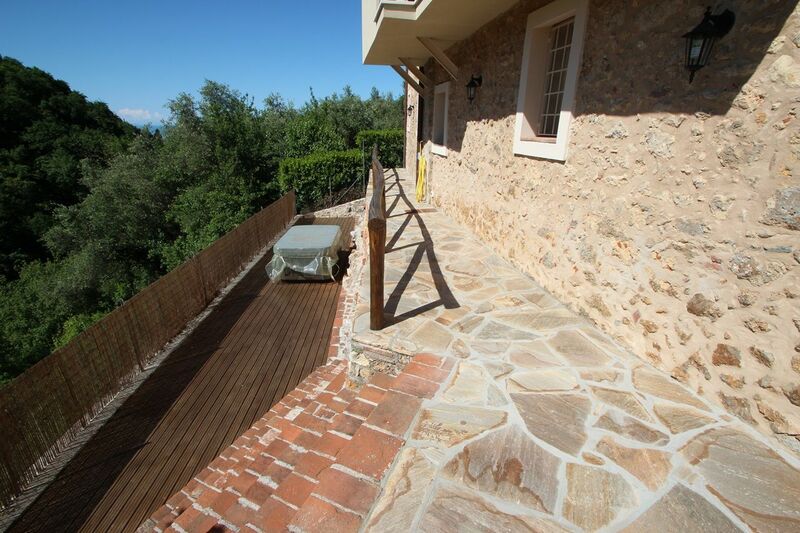 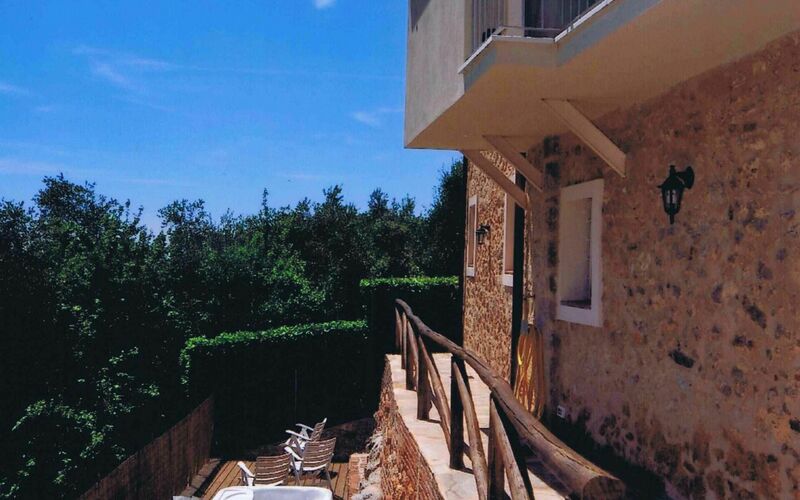 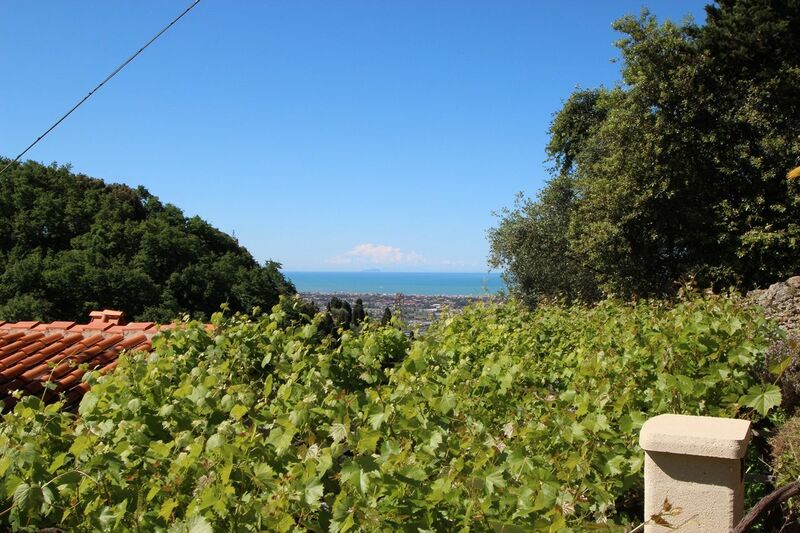 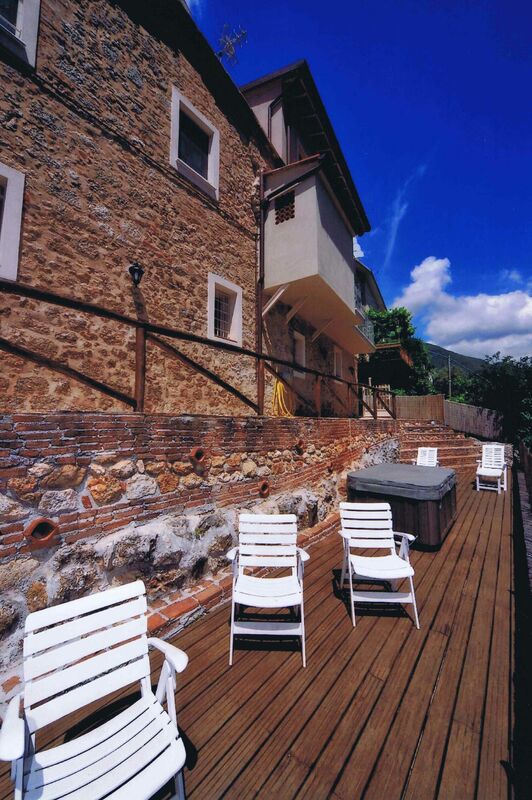 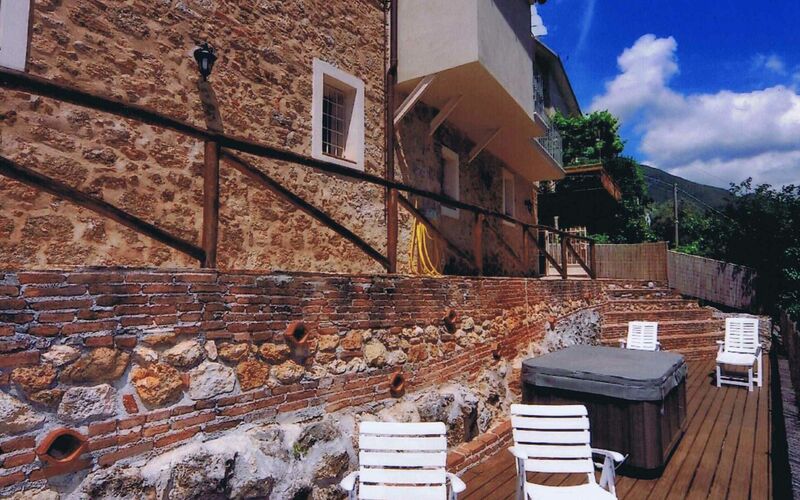 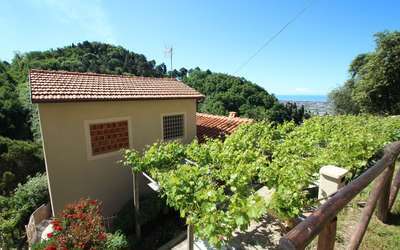 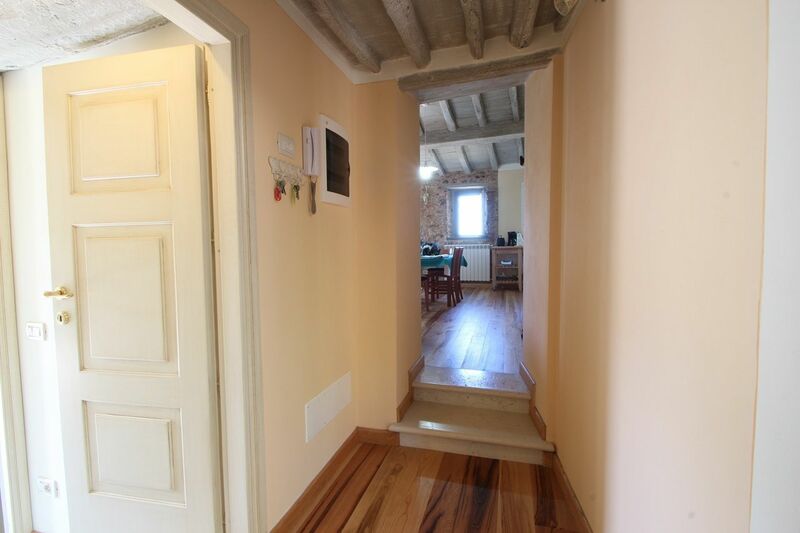 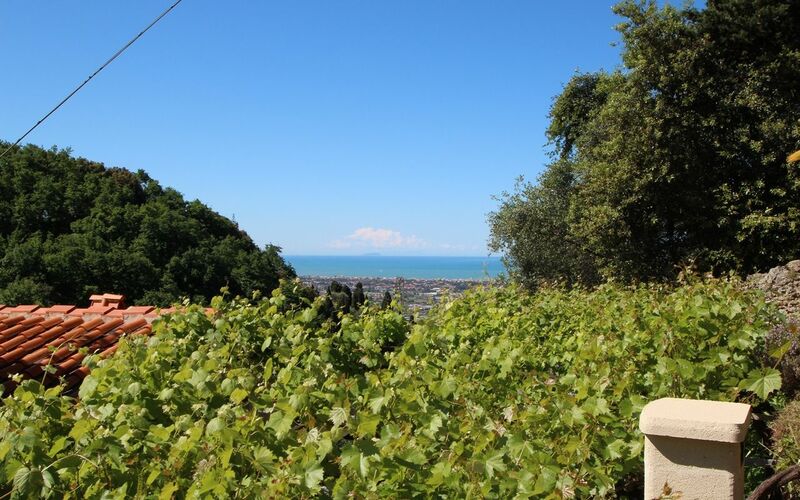 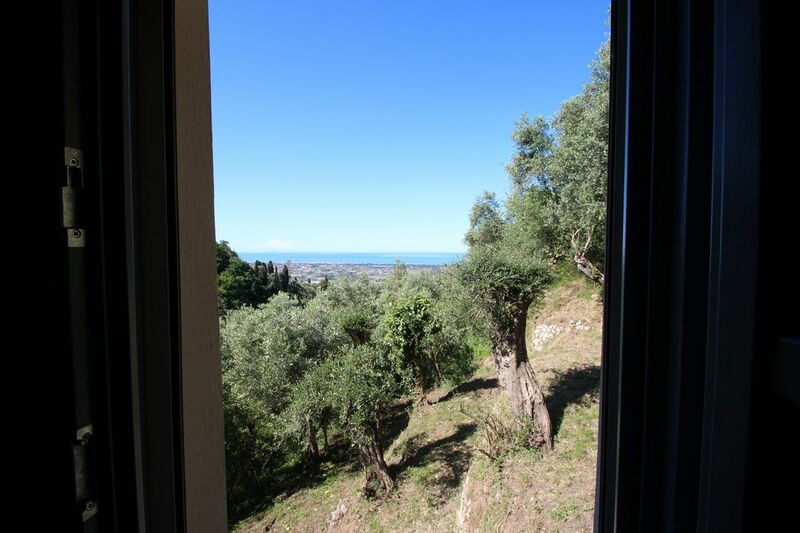 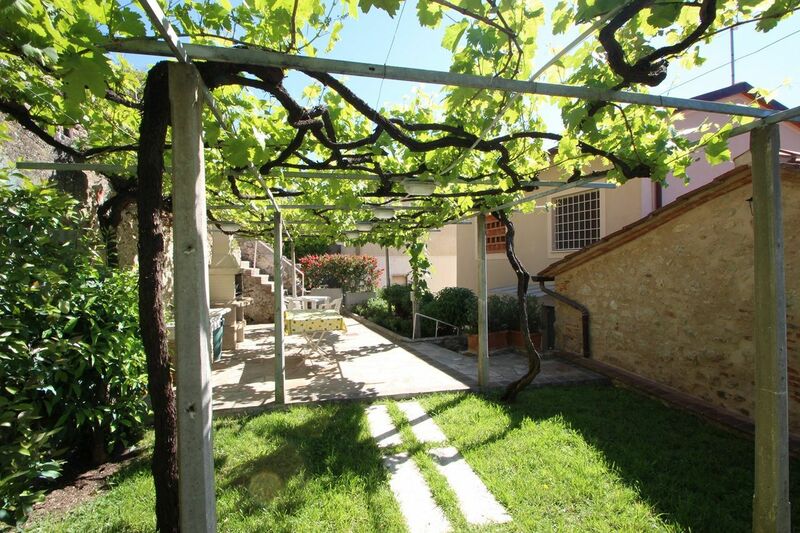 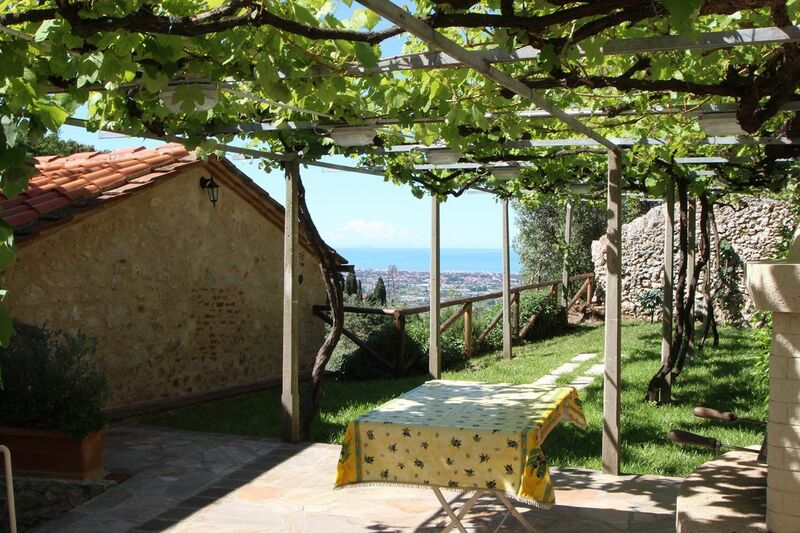 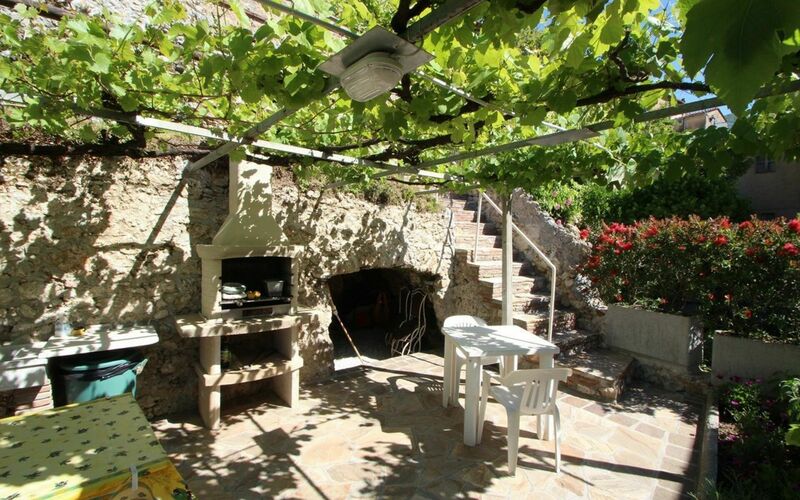 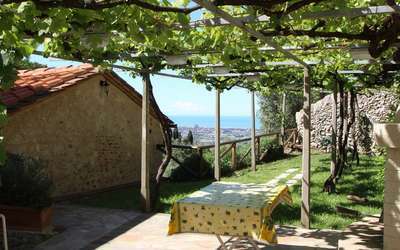 Holiday Home for rent in Monteggiori, on the Hills of Camaiore with Sea View. Here you will find 3 Bedrooms for 5 People and 2 Bathrooms. 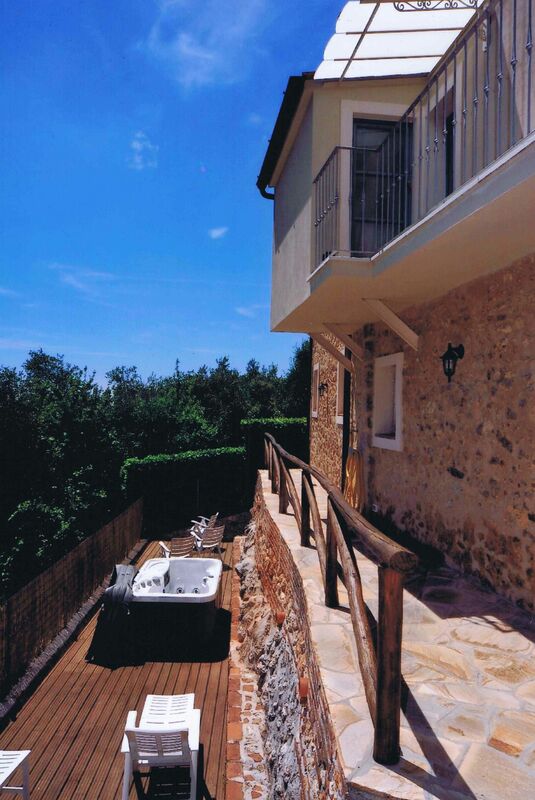 A large garden where you can relax inside the outdoor jacuzzi. 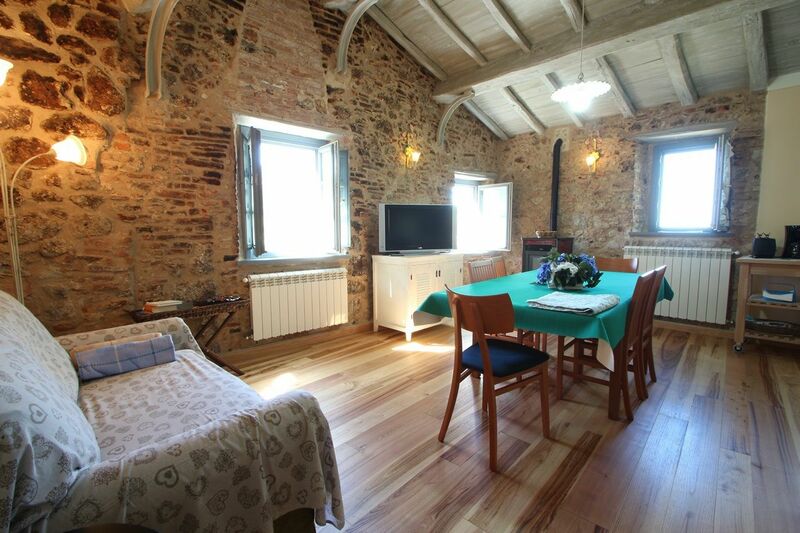 This House has been recently restored. 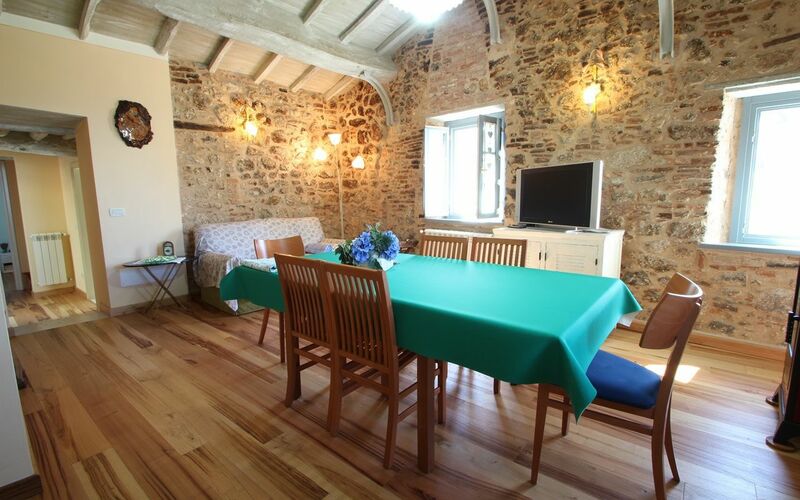 A very nice rustical touch with modern furnishing. - On the right side of the house you will find a very nice Garden with dining area with barbecue, table, seats and sink, all this with a wonderful vine plants covered veranda. From here, and the from the upper garden) you have a very nice and relaxing Sea View of Marina di Pietrasanta. 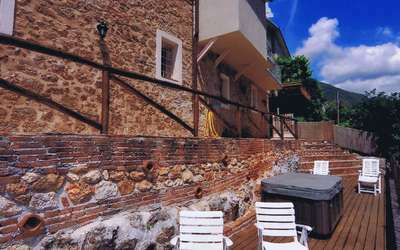 - On the left side is a large terrace with sun seats and and Outdoor Jacuzzi. - The Beaches of Lido di Camaiore, Viareggio and Forte dei Marmi. - The Cities of Pisa, Lucca, Camaiore, Pietrasanta and Florence. 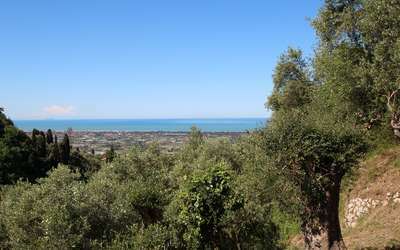 - The prehistoric caves of Piano di Mommio called "Buca delle Fate". 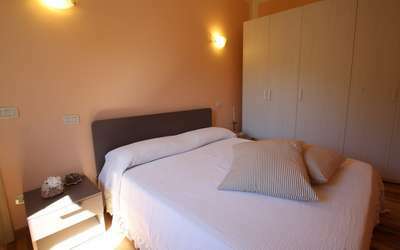 The holiday home is located about 200 Meters from the main Parking lot of Monteggiori, here you can park your car and reach the house by foot. 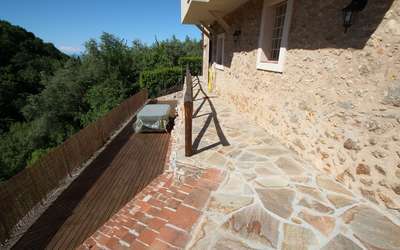 You can also reach the house by car, but only for loading and unloading and only with a very small sized car. 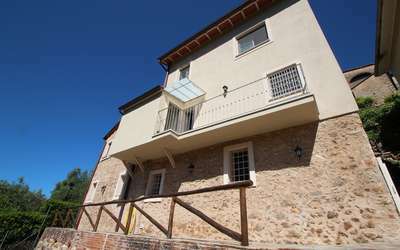 Casa Fabrizia id built on two floors of about 80 sqm. On the first floor is a large living room, a bathroom and balcony with laundry area, and a double bedroom. 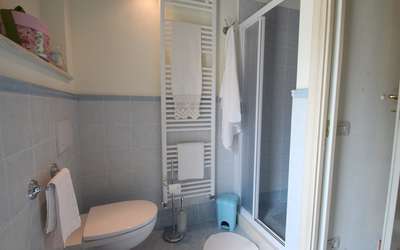 On the second floor are two bedrooms and a bathroom (without shower). 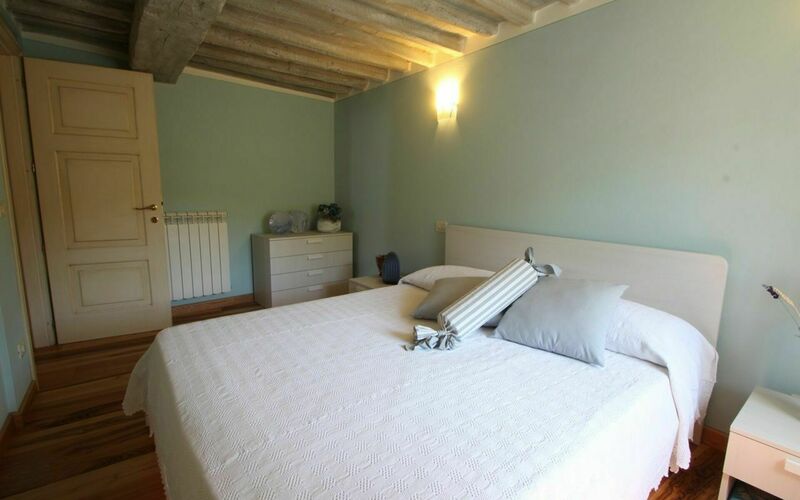 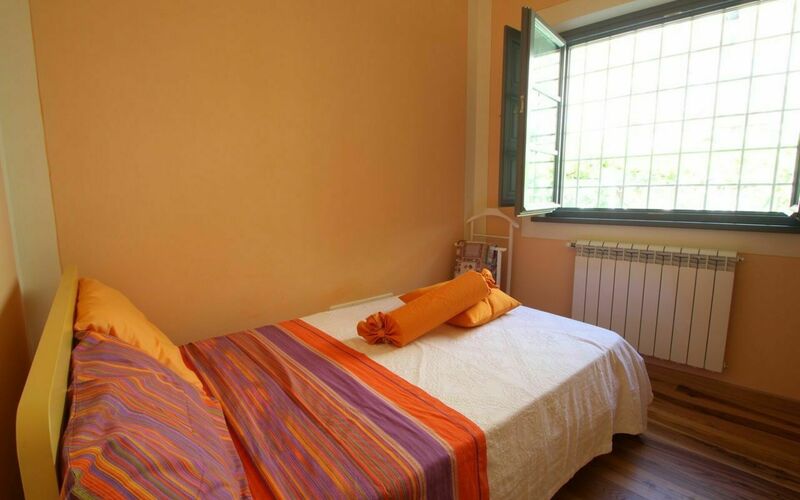 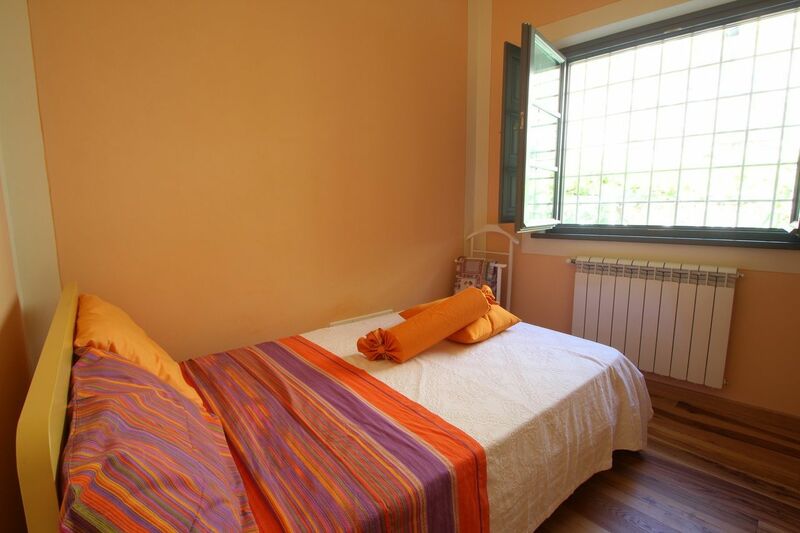 The Bedrooms of Casa Fabrizia are 3. 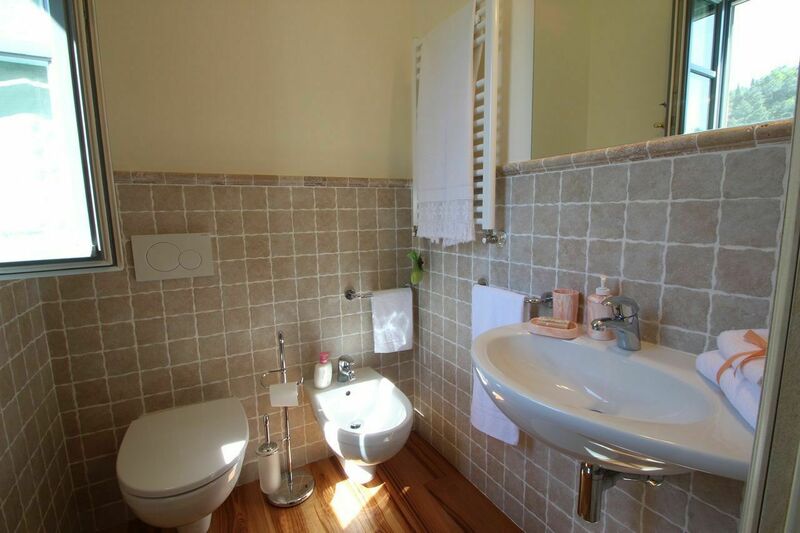 A double one on the ground floor. 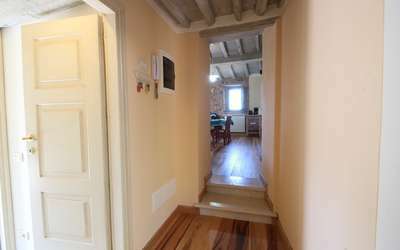 Two double bedrooms on the first floor. 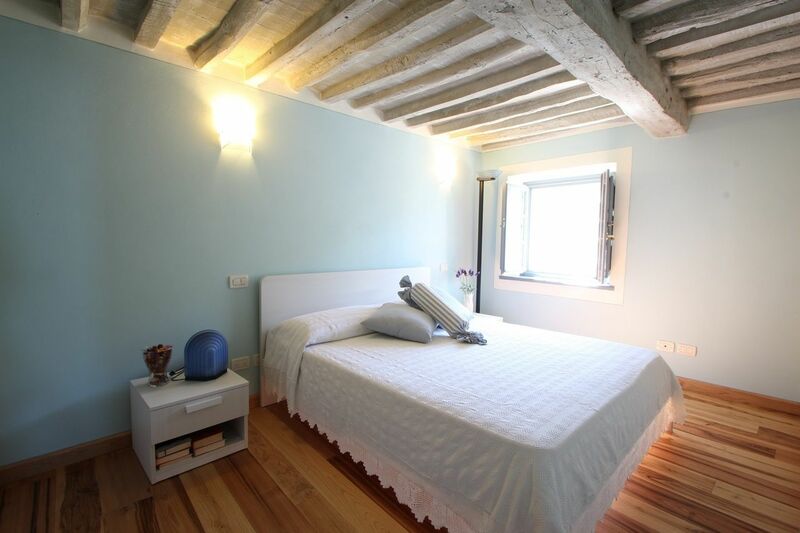 (one bed is a little bit smaller). One on the ground floor with shower and balcony with Sea View. 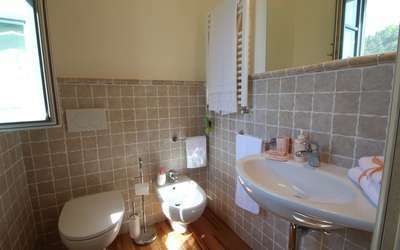 Another one on the first floor. The Living room is located on the ground floor and has a rustical touch with its beams and rocky walls. 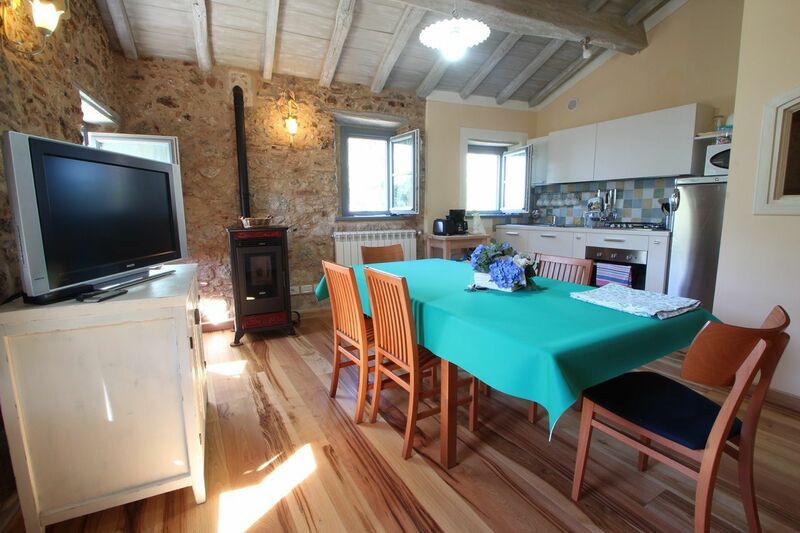 Here you find a sofa and TV, dining table, a pellet stove for the winter and the kitchen area. 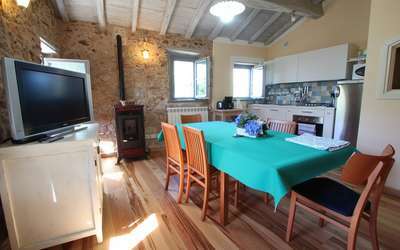 The Kitchen: disher, coffee mashine, toaster, burning hobs, oven, microwave and fridge/freezer. 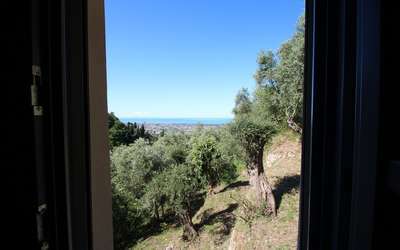 The Sea can be seen from the windows of the living room.